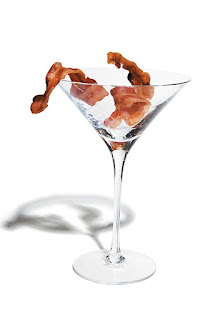 Several days ago on the Thursday wedged between Ash Wednesday and a meatless Friday, I thought I would take respite from the meat fast and indulge in a little bacon as only a Martini lover could. In a moment of inspiration, I crafted a Martini with Caorunn Gin which utilizes the Coul Blush Apple in it's botanical mix. What better garnish than Applewood smoked bacon stuffed into the olives? The result was better than I could ever have hoped for. Raised in the traditions of Catholicism, I was taught to observe a fast from meat starting on Ash Wednesday and including all Fridays during the 40 days of Lent. The forty days was meant to evoke the remembrance of Jesus' forty days of fasting in the desert during which he resisted temptation by the devil on three occasions. However, I actually counted out the days on the calendar and there clearly are not 40, but 44. I could not let this rest and did a bit of reading on the subject. The confusion might in fact stem from a bit of semantics. 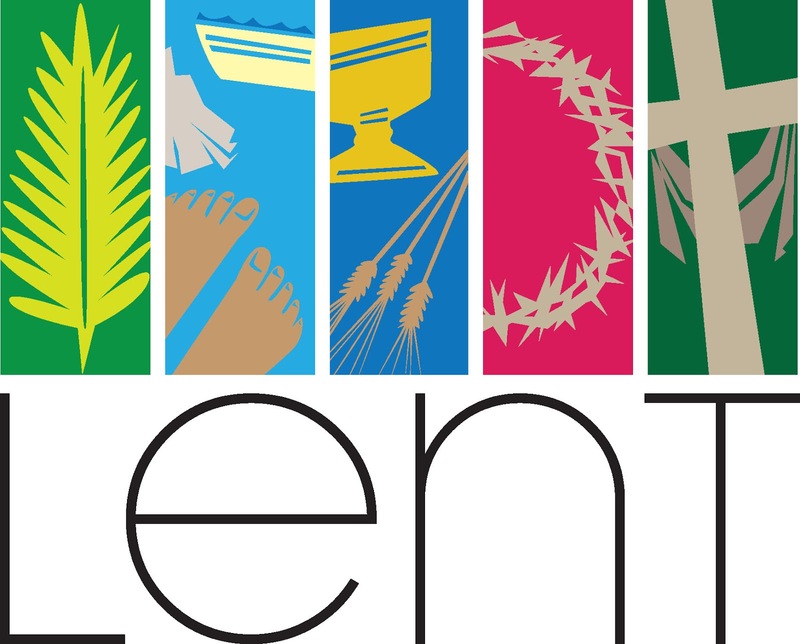 The liturgical Lent Season, as a calendar item, runs from Ash Wednesday until the Mass of the Lord's Supper on Holy Thursday. This is actually 43 or 44 days depending on whether you count the Thursday. 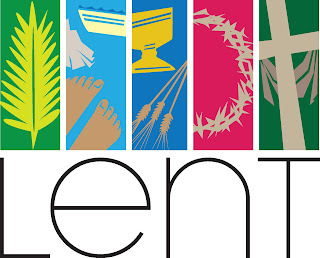 The Lenten fast always has been and always will be forty days for reasons previously stated. The start of Ash Wednesday until Holy Saturday is 46 days. However, Sundays are never fasting days in the Church and there are six Sundays in the lent season, thus forty days of observing the lent fast. I have to apologize to my non Catholic friends for having to read through all this, but I find it necessary to set the record straight. Being in a generally inquisitive mood, my thoughts next turned to the fish. Why abstain from meat but readily partake of fish. 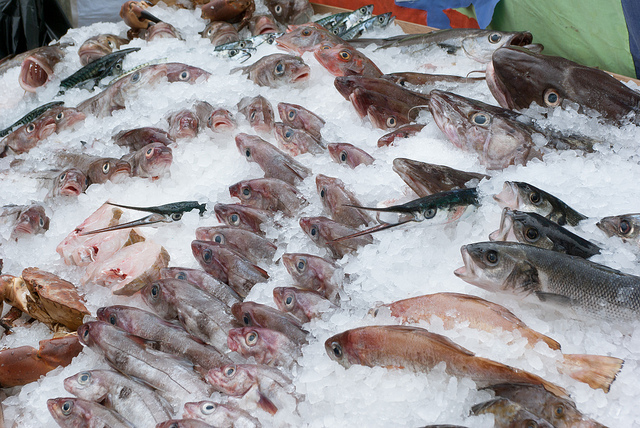 It is pretty obvious that a fish is just as much an animal as a cow, so the distinction is not on a vegetarian basis. For that matter, why is religion tied to the practice of fasting at all? Yet, fasting has been part of the Judeo-Christian religious tradition since ancient times. In the very early days of Christianity, fasting was practiced by Jews on Mondays and Thursday and all the original Christians were obviously Jewish. It must have been a practical matter for the early Christians to move their fast days to differentiate themselves from their former religion. Perhaps the arrest of Jesus on a Wednesday and subsequent crucifixion on a Friday provided the impetus for the choice of those two days in particular. The Roman Catholic Church downplayed the Wednesday fast, but kept the Friday fast until quite recently. Fasting most often took the form of the avoidance of meat, most likely because meat was more of a luxury food. Again, the form of the fast seems to be more of a practical matter.....that Jesus frequented the fishing hole and performed miracles with fish probably helps a bit as well. The more academic biblical explanation is in the concept of the paying of sins. 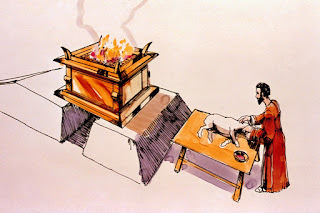 Before Jesus, sins were paid for, or atoned, by the sacrifice of warm blooded animals (see Leviticus 1:4). Just as the flesh of the animal was offered up in payment of sin, so then did Jesus offer up his flesh in the payment for the sins of all mankind. Friday is the day that Jesus died, so Catholics abstain from eating meat on Fridays during Lent out of respect for Jesus who gave up his own flesh to pay for the world’s sins. So then it is the warm blooded trait of the animal which makes it fodder for the fire and the cold blooded nature of fish that puts it on the menu for fasting days. Similarly, alligators, iguana, frogs and the like are all potential menu items on the Lenten fasting cuisine. I much prefer a Cajun spiced Tuna steak with a Martini, which come to think of it doesn't really sound like much of a fasting sacrifice. Mardi Gras is French for "Fat Tuesday", reflecting the practice of the last night of eating richer, fatty foods before the ritual fasting of the Lenten season. 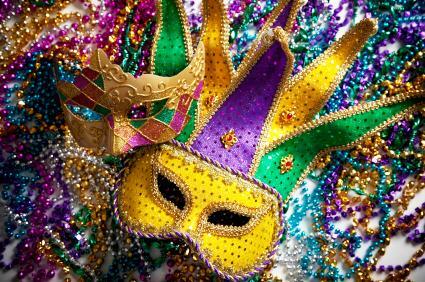 In countries such as England, Mardi Gras is also known as Shrove Tuesday, which is derived from the word shrive, meaning "confess". Through the transfigurative property of time, we have taken the religious preparation for a fast of remembrance and turned it in to a festival of pagan debauchery. The golden idol persists. 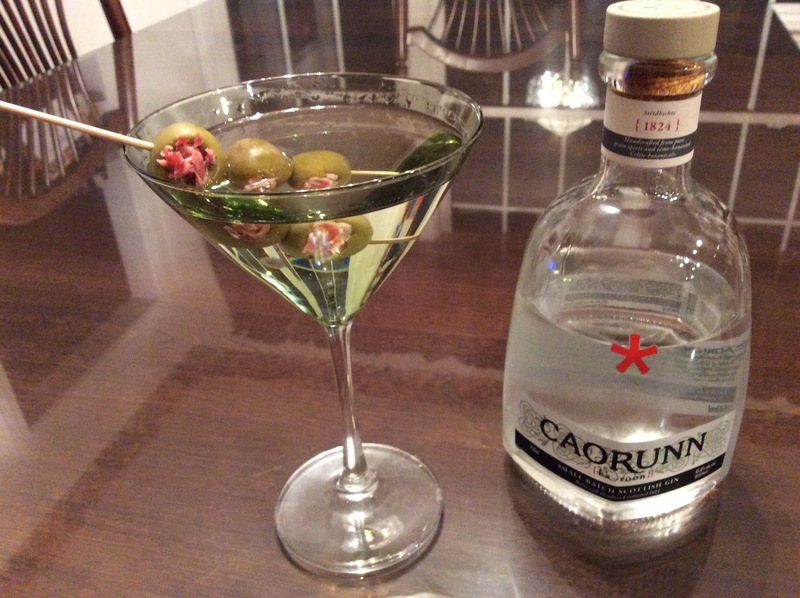 As I see it, there are two ways to produce a good bacon Martini. The simplest, and the one I chose, is to simply use it as a garnish, either as a side or stuffed into the olive. There is also the trend of infusing the bacon flavor directly into the gin. Warming the bacon in gin allows the aromatic compuounds from the bacon to dissolve into the gin. Once the fat is mixed with the alcohol, let it cool overnight, and the fat will rise to the surface, effectively trapping those volatile flavor compounds in the alcohol. Strain off the fat in the morning, and you've got your flavor-infused gin. Seeing as it's only morning, you will have to wait awhile to enjoy your bacon Martini. On a purely hypothetical level (avoiding the obvious sacrilege) if I were to take the place of Jesus in the desert and the devil offered me a bacon Martini, one would have to fear for the salvation of mankind.